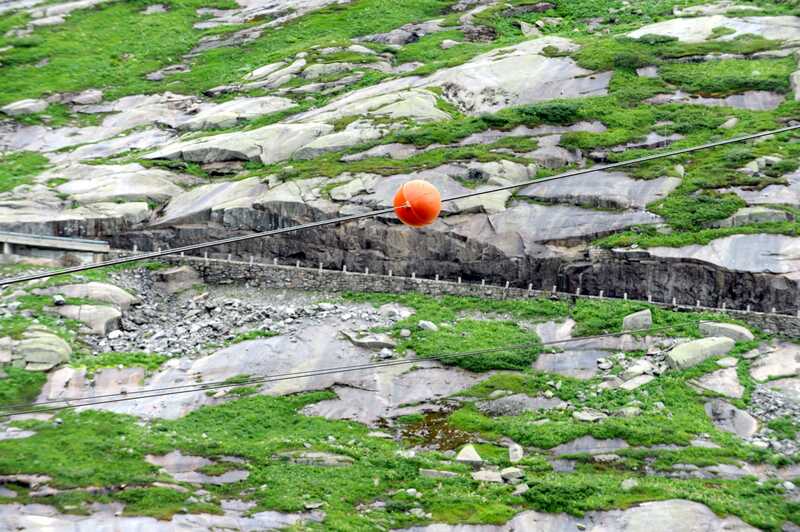 These orange-colored balls pick out power transmission lines near the Grimsel Pass, a spectacular spot that connects Cantons Valais and Bern in the Swiss Alps. And what news of the ochs und junior orange dots? A settimana junior (the model with a single dot) has reached California. For first impressions go to thepurists.com and read a wonderful orange-hued post. Visit timezone.com or thepurists.com for comforting summer bed time stories. There are lots of ochs und junior stories to tell – and with timepieces now being worn in the USA, Singapore and Europe, personal stories are beginning to emerge. It would be great to hear from the new owners!